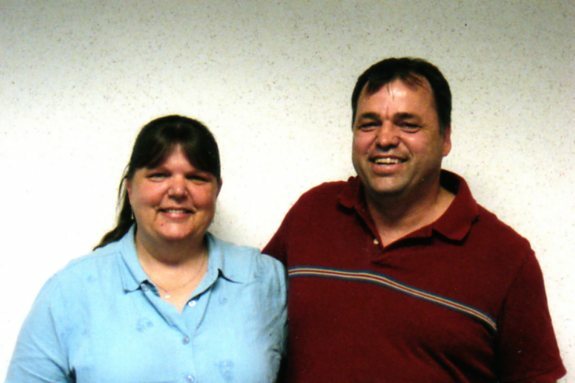 Carol and John see their woodlands as a place where they “practice what they preach.” Bakken Skov gave them an opportunity to be on the other side of things, implementing the programs they administrated and doing the same things they expected of others as professional foresters. Carol and John have been very active in managing their woodlands, doing Timber Stand Improvement, some pollinator habitat work, participating in state and federal cost-share programs, and having six or more timber sales over the years. Carol said the neatest and most rewarding practice they’ve tried on Bakken Skov was a broadcast seeding of oak and walnut. Spreading about 20,000 acorns per acre yielded around 4,000 to 5,000 seedlings per acre. This is about 8 times the number of 2 year old seedlings you would normally plant on an acre. With so many seedlings the deer couldn’t eat them all. Carol first heard about WWOA as a private lands forester. Through her time as a forester she came to realize the importance of the trust between foresters and landowners in sharing information, program knowledge, and building connections between professionals and landowners. Carol first served WWOA as a DNR representative on the publications committee, and has since continued on the committee after retirement. Recently, she has also taken on being the treasurer for the Blackhawk Chapter of WWOA and helps out in other ways as she can. She says she tries to keep it fun and is doing her best not to take on too much at once. To Carol WWOA has been and is a good place to connect with other woodland owner, peers, and to share information and educate others. “I still view a lot of things from the professional side and I’m still learning from hearing the questions woodland owners ask,” Carol said. Carol’s favorite WWOA events are the Blackhawk Chapter Tapp’n Woods nights where members can meet at a local watering hole in the Blackhawk area to spend time together, get a bite to eat, share and hear some stories. “Instead of listening to stories about grandkids, you hear stories about the grand-trees,” said Carol. A Tapp’n Woods night is held one a month in the months that the Blackhawk Chapter doesn’t have another activity planned. Tapp’n Woods and all WWOA events can be found on WWOA’s calendar of events. To new members, Carol recommends that you attend and take advantage of as many events as you can, get to know your peers, and to volunteer what and when you can. “You get more out of it if you’re involved, and every little bit means a lot,” Carol says.